I've been meaning to make these for such a long time and when Kate over at The Veg Space made Chilli Peanut Vietnamese Rolls last year, I drooled over them a lot, then thought I really must try making those. Fast forward one year and I've finally gotten around to making them. Maybe without the finesse of Kate, but I was rather pleased with them. 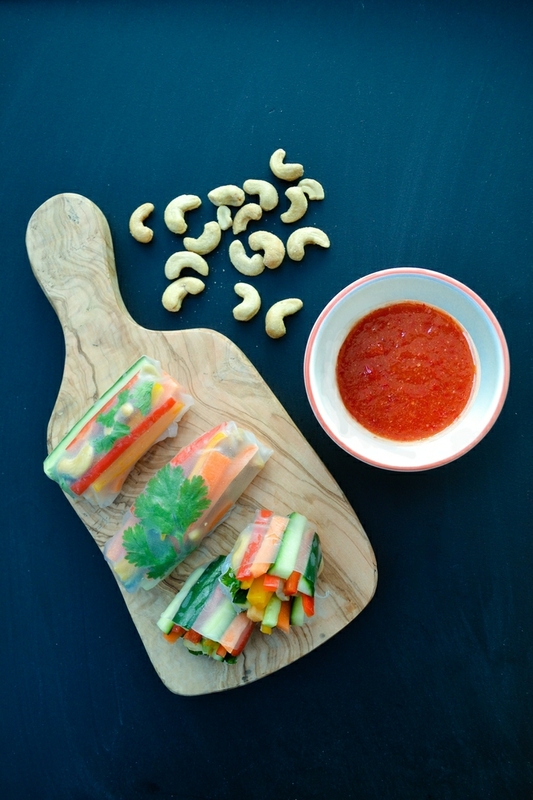 Fresh, simple bundles of spring vegetables with a good crunch, fresh coriander and salted cashews in a fine transparent wrap. 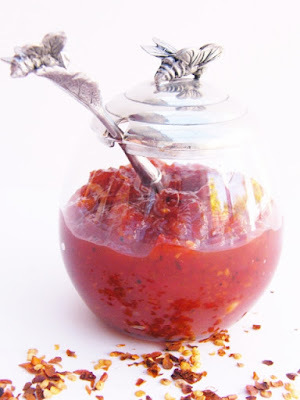 I served them with my Smutty Sweet Chilli Jam. If you haven't tried it before you really must. It's so easy to make and really delicious! I quite enjoyed these spring rolls. I liked biting into a bundle of crunchy salad veg with a spicy, sweet dressing. 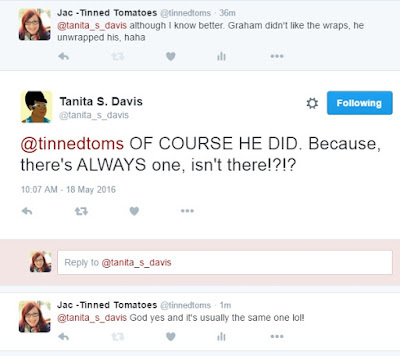 Graham hated them. He's not always good with new things and he really didn't like the wraps. I think If it was a fried wrap he would have been delighted. As it was he unwrapped them and just dunked his veg into his dip. What can you do? And no one was surprised about this! Fresh spring rolls filled with lots of crunchy salad veg served with a sweet chilli dip. 1. Prepare your vegetables.2. Roughly chop the nuts. 3. Take one sheet of spring roll wrapper at a time and dip in the bowl of hot water for 10-15 seconds until it is soft. Spread out on a board, top with the vegetables, nuts and herbs. Try to lay them neatly horizontally across the wrap. I probably packed a little too much in.4. To wrap, fold up the bottom of the wrap over the veg, then wrap over the sides quite firmly and roll forwards, until you have a neat spring roll.5. Serve with sweet chilli dip.6. Enjoy! If you like these spring rolls you may also like my Turkish Zucchini (Courgette) Fritters, which are also fabulous served with my sweet chilli dip. 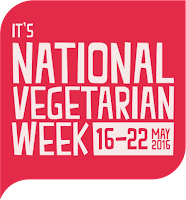 Just in case you hadn't noticed, it's National Vegetarian Week. I'll be sharing veggie inspiration and recipes with you all week here and on my social media channels. Follow me on Twitter, Facebook, Instagram and Pinterest. 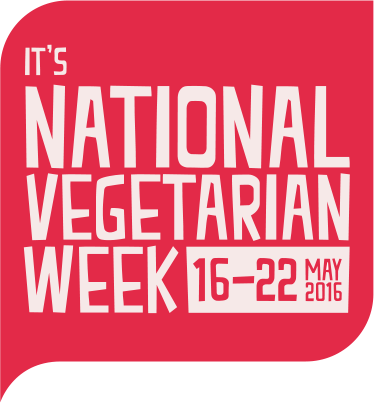 To find out more about veggie week visit The Vegetarian Society website and follow the conversation with the hashtag #nvw16 on Facebook, Twitter, Instagram and Pinterest. Haha, he probably is. Lovely but hard work when it comes to new foods sometimes. Such a baby! Lovely! I make these quite a lot, I love the wraps, and I love how you can see what's inside, especially herbs as you have done. I sometimes add softened rice glass noodles too, and even peanut butter, for different textures with the veg. So versatile really. Happy National Vegetarian Week! That's a great idea. Thanks for the tips and happy Veggie week! You can go ahead and call it slutty Kellie, but it's damn good. Those other sauces sound good too. 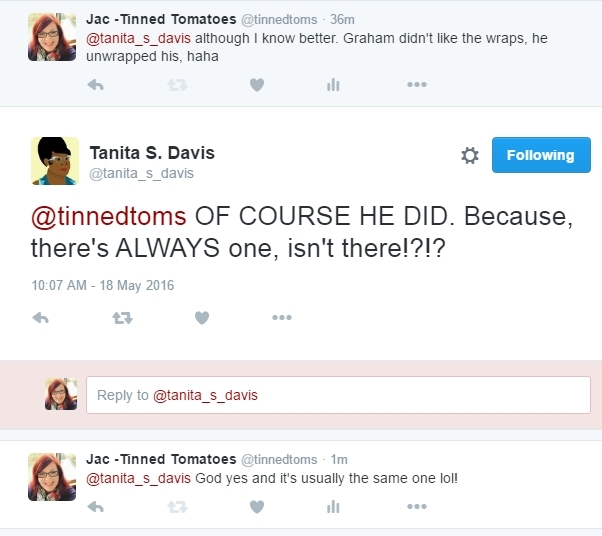 Oh go for it Jessica and hopefully you like them more than my Graham did. 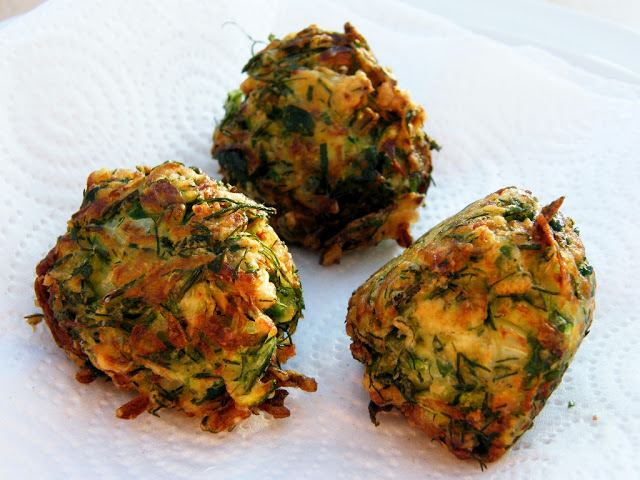 They look amazing but those fritters have stolen my heart. They look immense! !